Vocal lines with piano accompaniment for 9 songs from the mega-hit Disney movie are presented in this collection, including: Do You Want to Build a Snowman? 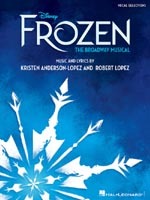  Fixer Upper For the First Time in Forever For the First Time in Forever (Reprise) Frozen Heart In Summer  Let It Go  Love Is an Open Door  Reindeer(s) Are Better Than People. 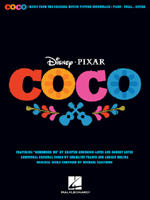 Here are 7 songs from the 2017 3D animated film from Disney/Pixar following the story of a boy named Miguel relating to a 100 year old mystery. Contents: Everyone Knows Juanita ; La Llorona ; Much Needed Advice ; Proud Corazon ; Remember Me (Ernesto de la Cruz) ; Un Poco Loco ; The World Es Mi Familia. Based on the music from the ever-popular Swedish pop group ABBA, this show tells three wonderful love stories of family and friends on a mythical Greek island. Folio features eight pages of color photos. Contains: Dancing Queen ; Gimme! Gimme! Gimme! ; Mamma Mia ; Honey, Honey ; Money, Money, Money ; The Name of the Game ; Super Trouper ; Thank You for the Music ; I Have a Dream ; S.O.S. ; Under Attack ; The Winner Takes It All ; and many more. With the film's original 50th anniversary artwork on the cover, this fantastic folio is a real collector's item. Includes: Over the Rainbow; Ding-Dong! The Witch Is Dead; We're Off to See the Wizard; If I Only Had a Brain; Optimistic Voices; If I Were King of the Forest; The Merry Old Land of Oz; Munchkinland; Lullaby League & Lollypop Guild; The Jitterbug. The Wizard of Oz brought the words to music, entrenching the songs in popular culture and ensuring their timelessness. With this piano/vocal/guitar songbook, you can play every song from the classic movie, including: Ding Dong the Witch Is Dead If I Only Had a Brain  Lullaby League/Lollip Guild/We Welcome You to Munchkinland  Over the Rainbow  and more. Includes A Fact Can Be A Beautiful Thing; Half As Big As Life; A House Is Not A Home; I Say A Little Prayer; I'll Never Fall In Love Again; Knowing When To Leave; Promises, Promises; She Likes Basketball; Upstairs; Wanting Things; Whoever You Are, I LoveYou (Sometimes Your Eyes Look Blue To Me); You'll Think Of Someone. 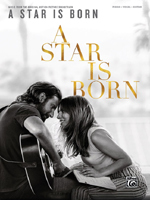 14 songs from the Broadway musical featuring songs penned by popular singer/songwriter Sara Bareilles and arranged with vocal line and piano accompaniment. Includes: Bad Idea  Everything Changes  I Didn't Plan It It Only Takes a Taste  The Negative Never Ever Getting Rid of Me  Opening Up  She Used to Be Mine  Soft Place to Land  What Baking Can Do What's Inside  When He Sees Me  You Matter to Me  You Will Still Be Mine. 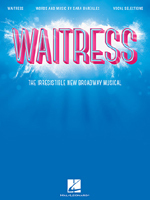 Bareilles' 2015 release features a dozen songs from the Broadway adaptation of Adrienne Shelly's 2007 indie comedy-drama Waitress. Our folio features piano/vocal/guitar arrangements of all the songs: Bad Idea Door Number Three  Everything Changes  Lulu's Pie Song Never Ever Getting Rid of Me  Opening Up  She Used to Be Mine  When He Sees Me  and more. 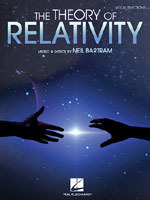 11 songs from the Neil Bartram unconventional musical presenting a joyous and moving look at our surprisingly interconnected lives. 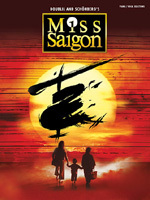 These vocal selections are presented in vocal line arrangements with piano accompaniment. Includes: Apples & Oranges  TheEnd of the Line  Footprint  Great Expectations I'm Allergic to Cats Julie's Song Me & Ricky Nothing Without You Promise Me This  Relativity  You Will Never Know. 15 piano/vocal selections from the musical adaptation of the classic holiday film featuring music penned by Irving Berlin, including the iconic Christmas song "White Christmas" plus: Be Careful, It's My Heart  Blue Skies  Cheek to Cheek  Easter ParadeHappy Holiday  It's a Lovely Day Today  Let's Start the New Year Right Nothing More to Say  Plenty to Be Thankful For  Shaking the Blues Away  Song of Freedom  Steppin' Out with My Baby  You're Easy to Dance With. Includes Bon Voyage ; I Am Easily Assimilated ; It Must Be So ; Make Our Garden Grow ; My Love ; Oh, Happy We ; The Best of All Possible Worlds. This revised edition celebrates the legacy of one of the most famous musicals of all time with 13 newly engraved songs, a show biography and plot notes, facsimiles of Bernstein's original manuscripts, and 16 pages of photos from various productions. Includes America; Cha-Cha; Cool; Gee, Officer Krupke; I Feel Pretty; I Have a Love; Jet Song; Maria; One Hand, One Heart; Promenade; Something's Coming; Somewhere; Tonight. Includes Anatevka; Do You Love Me? ; Far From The Home I Love; Fiddler On The Roof; If I Were A Rich Man; Matchmaker; Miracle Of Miracles; Now I Have Everything; Sabbath Prayer; Sunrise, Sunset; To Life; Tradition. From the creators of Les Mis�rables and the producers of Riverdance comes this new musical based on the life of 16th-century Irish pirate Grace O'Malley. Our songbook features 11 selections from the show: A Day Beyond Belclare  Boys'll Be Boys Here on This Night I Dismiss You  I'll Be There  If I Said I Love You  Sail to the Stars  The Role of the Queen  The Sea of Life The Wedding  Woman. Nominated for a 2009 Tony Awardr, [title of show] is a musical that documents its own creation by two Broadway fans who want to enter the New York Musical Theatre Festival - and struggle to complete the show in only three and a half weeks. Our matching folio includes 12 piano/vocal arrangements: I Am Playing Me; Monkeys and Playbills; An Original Musical; September Song; Two Nobodies in New York; Untitled Opening Number; and more.